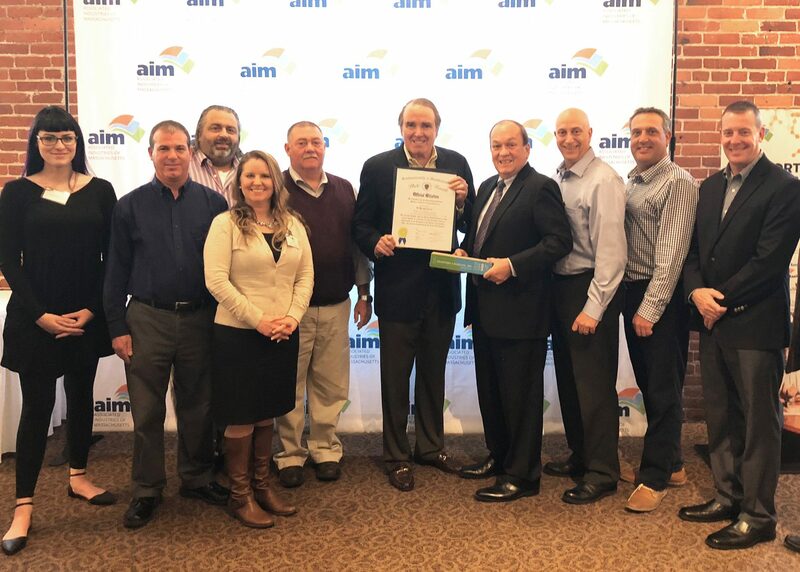 via AIM Blog – The Associated Industries of Massachusetts recently recognized Bradford & Bigelow, Inc. of Newburyport and Raytheon Company of Waltham as environmental leaders within the State of Massachusetts. “These two companies set the standard for sustainability managing their financial, social and environmental resources in a manner that ensures responsible, long-term success,” said Rick Lord, AIM President. B&B has been a pioneer in the use of UV inks and drying technology that eliminates VOC emissions and significantly reduce energy costs, LED Lighting, demand reduction programs with National Grid, upgrades to energy efficient motors and the recently installed 425KWH Solar Energy System. “It all adds up,” says Rick Dunn, EVP of B&B, who estimates the savings are approaching $500,000 per year.